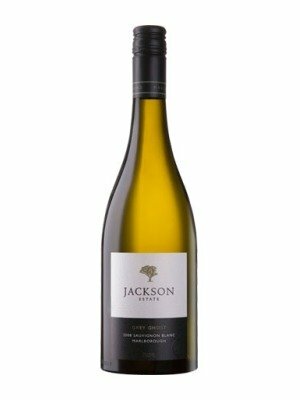 Jackson Estate Grey Ghost Sauvignon Blanc is a popular New Zealand White Wine available from Tesco Wine in 75cl to buy online. Visit Tesco Wine for the best price for 75cl of Jackson Estate Grey Ghost Sauvignon Blanc or compare prices on our other New Zealand White Wine products. Named after a giant gum tree planted in 1867 "The Grey Ghost" partially fermented in French oak barrels gives aromas of gooseberry and blackcurrant lead to a magnificent and concentrated palate ruled by yellow fruit with a mineral edge, all bound by a long and savoury finish. Where to buy Jackson Estate Grey Ghost Sauvignon Blanc ? Jackson Estate Grey Ghost Sauvignon Blanc Supermarkets & Stockists. You can buy Jackson Estate Grey Ghost Sauvignon Blanc online in most retailers and find it in the New Zealand White Wine aisle in supermarkets but we found the best deals online for Jackson Estate Grey Ghost Sauvignon Blanc in Tesco Wine, TheDrinkShop, and others. Compare the current price of Jackson Estate Grey Ghost Sauvignon Blanc in 75cl size in the table of offers below. Simply click on the button to order Jackson Estate Grey Ghost Sauvignon Blanc online now.